The Senate has resolved to amend Joint Admission and Matriculation Board (JAMB) establishment Act with the hope to extend the validity of its Unified Tertiary Matriculation Examination (UTME) to three years. This followed the consideration of a report by the Committee on Tertiary Institutions and TETFUND, chaired by Sen. Binta Garba (APC Adamawa North). In 2015, the Senate mandated the committee to investigate the new JAMB admission policy and the unification of the all their tertiary institution examinations. It also directed the committee to include in its report, the amendment of the ACT establishing JAMB so as to extend the validity period for the examination to three years. The Senate, however, adopted the recommendation that the UTME examination should have a validity period of three years to reduce the financial burden on parents. The senate also resolved that the examination fees be reviewed downwards to N2,500 while change of course and institutions, as well as any other changes surrounding the examination be free. The Senate further resolved that computer laboratories should be built in all higher institutions of learning to aid Computer Based Test (CBT). 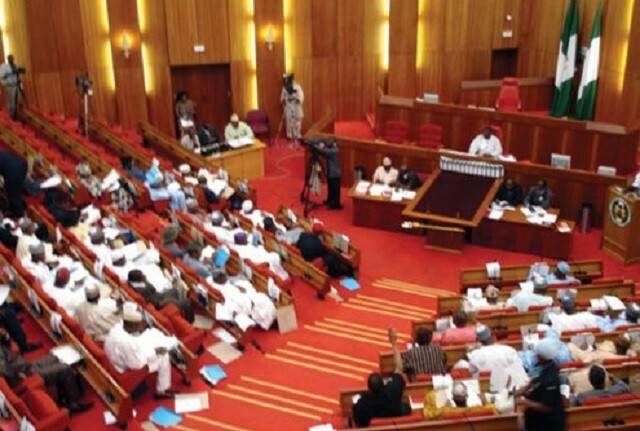 However, the senate rejected a move to cut by 70 per cent, the examination cost for National Examination Council (NECO) and the West African Examination Council (WAEC).